In this article we will continue our discussion of the spiritual life from a Dispensational, therefore Scriptural viewpoint. I don't say that simply to poke the nose of Reformed Covenantalists who believe Dispensationalism is wrong. I say that based on points made earlier in the previous two articles. Before anyone decides to berate me for saying it, please read the two other articles in this series. One of the most important characteristics of our new life as believers is our new position. As previously mentioned, at the moment of saving faith the Holy Spirit places us into vital union with Christ through His baptizing ministry. We are said to be "in Christ." At that very moment we are introduced to the indescribable place of privilege that Paul reveals. We now possess "every spiritual blessing in the heavenly places in Christ" (Eph. 1:3). Every believer must understand this new position in order to have the proper perspective concerning the new creation that each has become. We will not be able to live in a manner reflecting our position in Christ if we do not understand our position in Christ. In Ephesians alone there are some thirty-six uses of the phrase "in Christ" and various synonymous phrases. 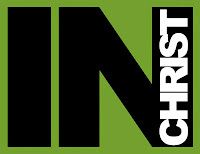 Similar terminology is used an additional three times and if taken to mean the same as "in Christ" raises the number to thirty-nine. Regardless of how Paul is using these phrases the repetition alone attests to its importance. When we examine the Scripture that Hoehner identifies as pertinent to this point we find that Romans 5:12-14 describes the entrance of sin into the world through Adam's fall. Being descendants of Adam, the main idea described in these verses, all men are contaminated by sin because we descend from him on a human level. We are born in Adam. Paul speaks of the result of this natural relationship in 1 Corinthians 15:21-22; "For since by a man came death, by a man also came the resurrection of the dead. For as in Adam all die, so also in Christ all will be made alive." The glaring identification truth, being born a natural man from the same gene pool as Adam, has as its result spiritual death. This in turn results in physical death. In contrast, all who are in Christ are spiritually and eternally "made alive." Our new life in Christ also has further results. They are wonderful truths that must be understood. They give the believer ammunition in the ongoing battle in the Christian life. These are but a few of the truths that Paul teaches concerning the glorious riches attached to our position "in Christ." Do you get the feeling that Paul has much to say concerning how we are to live the Christian life? This information is foundational. The knowledge that our position "in Christ" unites us with Him in His death to sin should result in "considering," or "calculating" that we are dead to sin to the end that our sin nature no longer reigns over our mortal bodies. This is the path to victory. We are no longer slaves to sin. We are not powerless against the "sin which so easily entangles us" and therefore we can "lay aside every encumbrance ... and run with endurance the race that is set before us" (Heb. 12:1). These identification truths are like neon signs in the darkness declaring to us that victory is ours for the taking. The question at this point then is what is it that hinders the believer from experiencing this victory? We will begin our discussion here next time. Harold Hoehner, Ephesians: An Exegetical Commentary (Grand Rapids: Baker Academic, 2002), 173.